Solving VR's Challenges Psychologically Through Setting, Story, and Design Techniques. In the following dev story I talk about the challenges in VR and some of the techniques used to solve the various problems and how I specifically approached them in B99. The three parts are Setting, GunFace, and Locomotion. The setting and story of a game can really be used to solve problems. If a VR game has a teleportation mechanic this unrealistic mechanic can be explained in a number of ways. The player could have this ability as a powerful mage, a teleportating robot, a mystical assassin, a piece of technology, an artifact, or any number of ways. In a roomscale game the player could be a ghost solving their murder spirit bound to a particular object only moving to another location by an npc who carries said object. Walking through solid objects in a roomscale game could be explained by being a spirit in the same ghost game. In a motion controlled game having a magic or tech sword that cuts though anything can explain the lack of resistance and haptic feedback. Giving a character a helmet with an AR visor can explain a HUD or crosshair in your game. Creative use of story can solve immersion problems and solve VR limitations psychologically for the player. 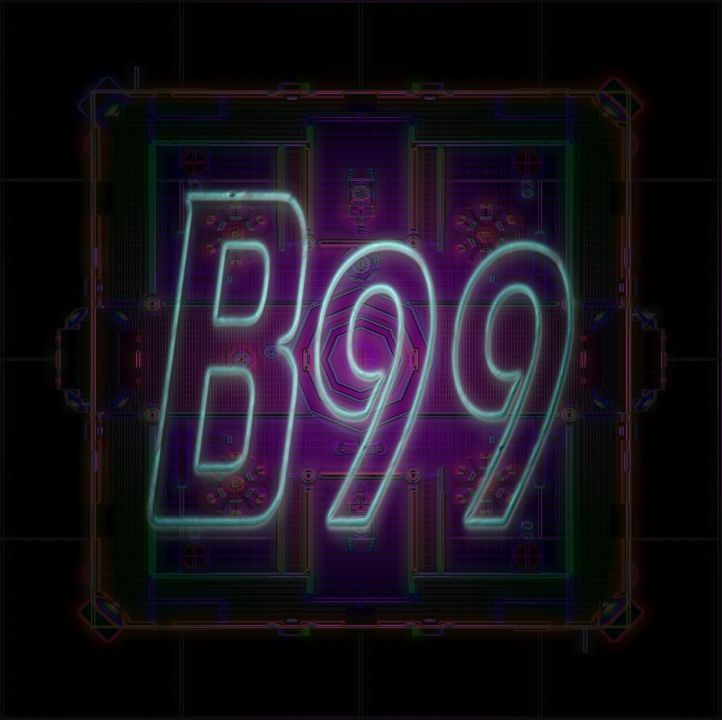 For B99 I made use of it's 1980's abstract vision of cyberspace setting and the tropes that have built up over the years to free up the limitations in game design that a real world simulation approach would have brought me. On screen HUD elements are not out of place in a computer world. So in the early days of the DK1 and DK2 there were many experiments for doing an FPS in VR as it seemed to be a perfect fit. A common complaint was what people called "GunFace." That in VR the standard of FPS convention of having a gun in your field of view or FOV made you feel like a gun was attached to your face when you look around. Furthermore it is fairly unbelievable that a gun and arm placement would be perfectly aligned with the movement of your view. My game B99 also in it's earliest form had this problem. The player's hand was always outstretched in front of their face and plasma balls would shoot from the player's palm. Some attempts were made to make this more realistic through the use of IK and having the view lead and the arm animate to catch up to be in firing position. Motion controller implementation was always planned but the Vive wasn't announced yet and of course neither was Oculus Touch. I do think they are the future though. It made sense to continue down the road of gamepad play and look for aiming also known as "gaze" aiming but a more immersive and realistic solution was needed. A modder of Doom BFG for VR had a clever solution where he used the game's multiplayer models to add a player body whose arms and shooting from the hip animations were more natural and fit for VR. The bullets often came from offscreen with the exceptions of the large guns that were big enough to creep into your FOV. 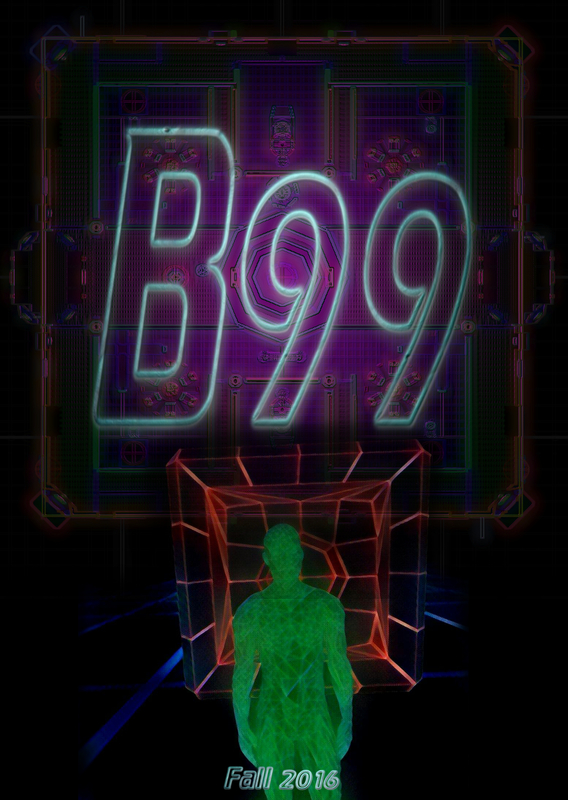 The abstract setting of cyberspace in B99 allowed for a solution that is cohesive to the gameworld thus psychologically satisfying to the player and immersive. 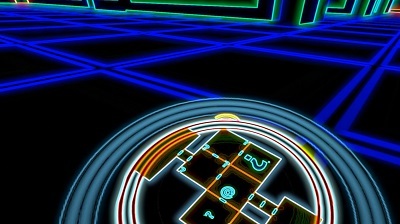 The player would fire from orbs that orbit the player. <Insert pic> Arm raising was something for meatspace, in the cyberworld of the 1980's aiming is at the speed of sight fired with your mind. Initially the orbs were visible in the player's FOV but their presence while visually cool for any extended play they were distracting and intrusive. B99 is a fast action game and when fully upgraded you could be shooting 9 blasts a second. So the 3 orbs needed to be placed in a visually comfortable spot. So the were place in a triangle shape outside the players FOV and they followed head orientation. However unless you created the game how did you now know what was firing at all. So I added the player's body to vehicle to the title screen and decoupled look from the vehicle and it the weapon orbs. From title menu you could now look look around your vehicle and see the orbs floating around in their triangle formation and the see the pods that house the orbs when not in use. To drive the point home upon starting the game your orbs fire and blow up the logo so that before you even start the game you understand how your player character traverses and fires in this world. When the player teleports into the scene at the beginning of the level the head and body movement as well is decoupled as the player's vehicle materializes giving the player another chance too look around. Lastly while the player moves through a tunnel in the loading screen this decoupled looking occurs as well allowing the player to see their orbs resting in the pods of the vehicle. The ammo indicator located around crosshair was a comfortable place to put that vital information without taking screen real estate or forcing the player to glance elsewhere to read. Health and the minimap are readily available in the the vehicle console just by glancing downward and also not muddying up the playerview. The reticle was made a round circle so when focusing on an object it wouldn't be obscured by the crosshair. Weapon Switching plays an animation and displays the new weapon icon briefly in the center of the reticle. 1st person games were the immediate things people started to experiment when the 1st devkits began arriving to developers and enthusiasts alike. It became quickly obvious that VR demanded extra care, techniques, and design to surmount it's new challenges. Sim sickness is a problem. Some found that movement at high speeds and strafing were problematic. Slower more natural movement was adopted as well as slower still backwards or side to side movement. Others found that that moving backwards and forwards was fine but turning made them feel uneasy. A ratcheting rotation mechanic called "comfort mode" arose where the player rotates immediately in set degree increments. Games with cockpits like flight sims or driving sims were for the most part relatively safe as they leveraged the brains experience for familiar forms of artificial locomotion. Also cockpits gave a fixed place of reference like another team found that giving a player a virtual nose sim sickness could be mitigated. Another developer experimented using a semi transparent grid overlay and polled testers for it's effectiveness. Valve with the Vive removed artificial locomotion completely with movement tracking using it's lighthouse bay-stations for 1 to 1 roomscale walking in a small space. People have combined this with teleporting instantly. Still others have simply designed experiences with no movement at all. Last but not least and common to all was too keep the framerate high and consistent without dips. For B99 I have combined several techniques as well as design choices arrived at by testing of my own with people in my immediate contact. The goal of B99 is to provide fast motion action in the style of the 1st person shooters people currently play and desire to play in VR. While some people may find them unable to play B99 there will still be plenty of titles for them to play. My testing has shown me that psychological factors play a very large part of the experience. I have included an abstract hover vehicle with a cockpit for those that benefit from cockpits. The vehicle uses hovering to provide a believable explanation for the smooth gliding movement in the virtual world having an absence of head bobbing that while realistic was found to cause discomfort for some. A vehicle allowed for high speed movement as well. Speed is slightly slower for side to side movement and slightly more slower than that for backwards movement. The cyberspace visuals of the the 1980's allowed me to implement identical grid floors and ceilings in way that was visually appealing and not out of place. Special care was taken too create stylized visuals that still look nice yet are not taxing allowing for a steady framerate. I have not implemented comfort mode because my testing revealed a solution that does away with a need for it. When we walk or grab something we do not think actively to set one foot in front of the other or reach out and close my hand around an object. Input for VR should be the same way. The 1st control scheme for my game was purely gamepad driven. My testers that were use to console fps and twinstick usage had no bouts of sickness. The keyboard and mouse users however would soon start to feel sick after 15 minutes to an hour. I had the idea that for them the controller was not just an extension of their body they could not rotate or move in sync with their psychological expectations. I remembered how awkward twinstick movement and rotation was for myself when it was 1st invented for games. To test this I immediately implemented keyboard and mouse controls. The keyboard and mouse users stopped getting sick. Traditional FPS games were viable the player just needs controls they can sync expectations with and not think about the process. Though I do not have motion controls myself I believe that those too can lead to a better synchronization after some brain learning period. I am going to continue in artificial locomotion research so large free running worlds will stay a viable design.